Happy Friday everyone... Its' time for a new Challenge at Your Next Stamp! This week we have a great new Color Combo and Sketch to choose from. You can use each one separately or use them together. This week I'm using the Sketch portion of the challenge along with the Monkey Fun set and coordinating die. I created a White top folding card base and then I added some of the Tropical Fun Pattern Papers that I die cut with the Stitched Banner and Stitched Rectangle Die sets. I added an additional stitched rectangle of White card stock that had a sky created with some Tumbled Glass Distress ink. 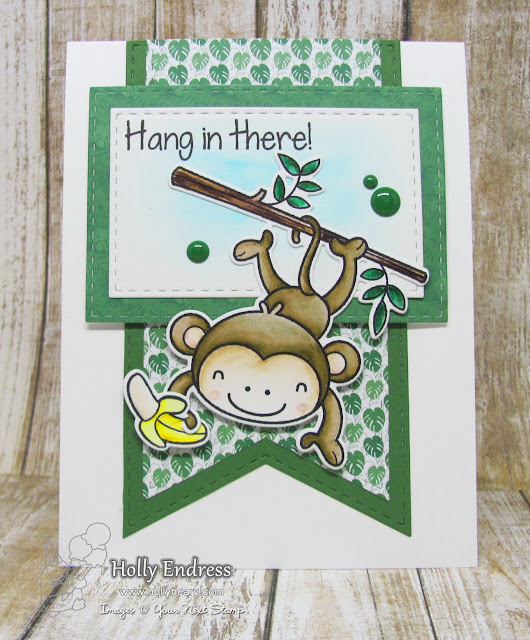 Then I stamped the monkey image onto some Bristol paper and color him in with Zig Clean Color Real Brush markers and a water brush. I used the coordinating dies to cut him out and adhered him to the front of the card. 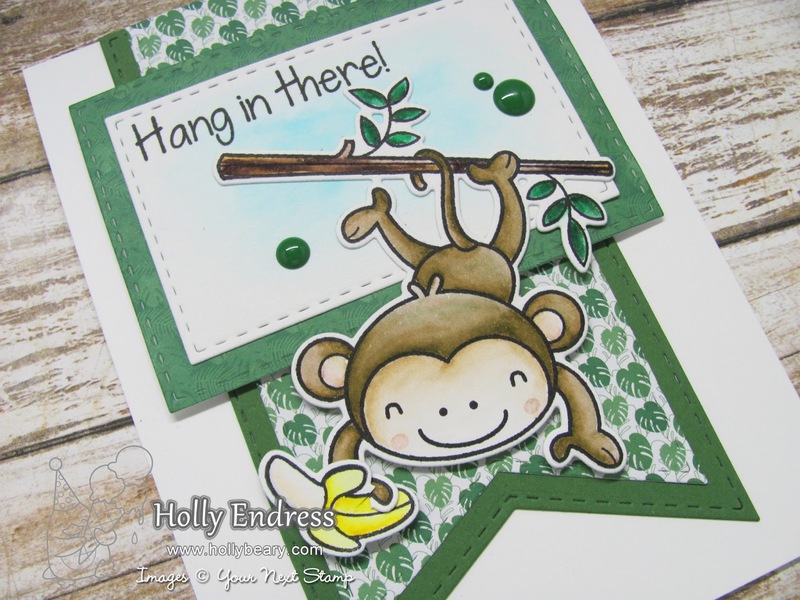 I stamped the sentiment in the upper corner and for an extra pop of color, I added some Pine Gumdrops...these are retired but you can find similar ones in the new Tropical Paradise Gumdrops. 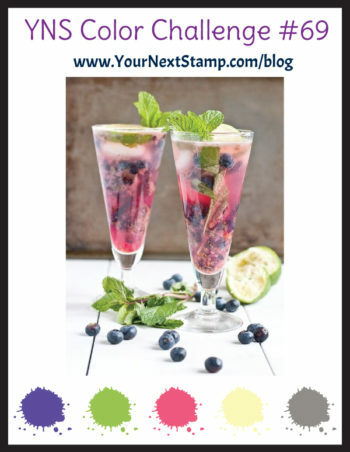 Head over to the YNS Blog for more inspiration from the team.. We hope you will join us!! 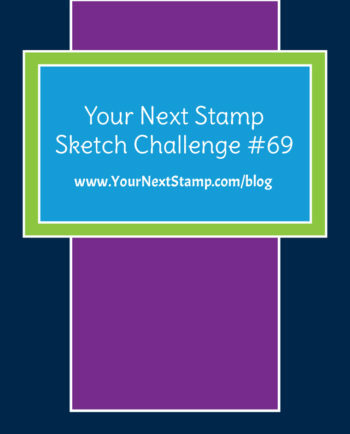 YNS Challenge #69 will be open until Thursday, Aug 3rd.